First off I’ll start with my eyeshadow palette, which was only £4 from Superdrug!!!!! Absolute bargain! 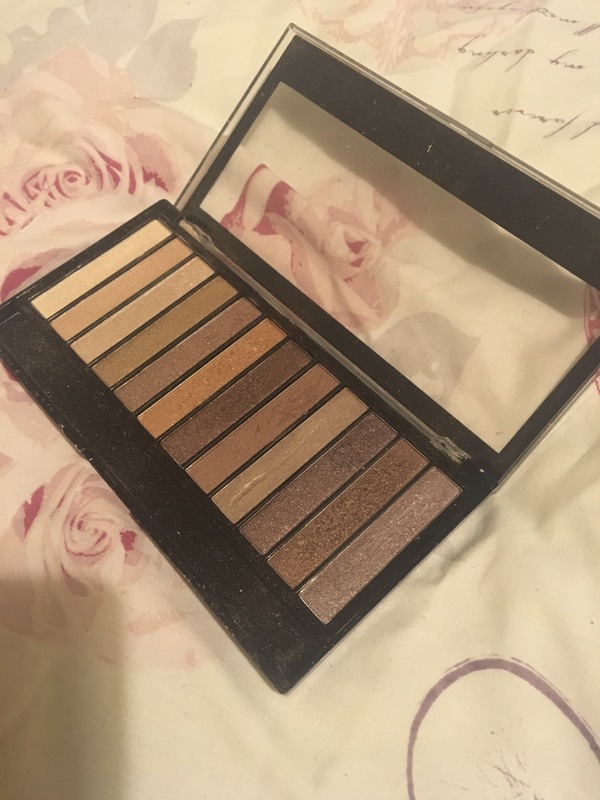 It’s the revolution ‘Redemption palette essential shimmers’ and let me tell you, it’s beautiful! 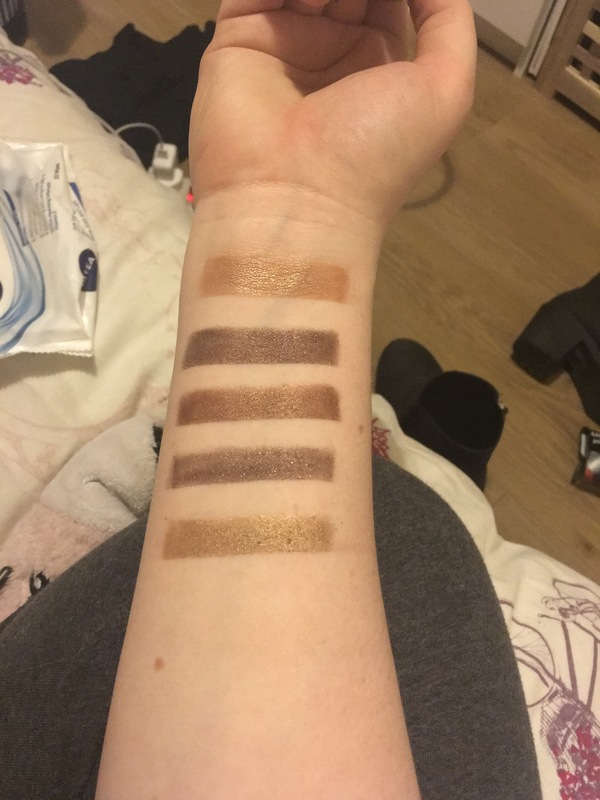 The pigmentation is great and the colour pay off is soooo pretty! The colours don’t have names so, unfortunately I cannot tell you which one is which, although I have numbered them going left to right so first colour is no.1 second is no.2 and so on. Top to bottom; no.6, no.7, no.11, no.10, no.4. 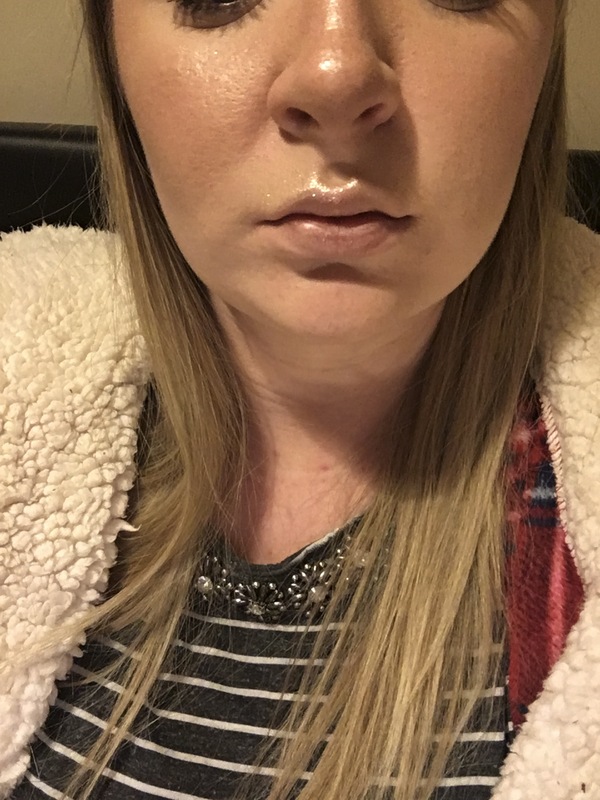 They are such beautiful wintery colours, I love using the Gold (no.6) all over my lid with the copper (no.11) in the crease and then the purplish colour (no.10) in the outer corners and slightly on my lower lash line. It looks super pretty and wintery. 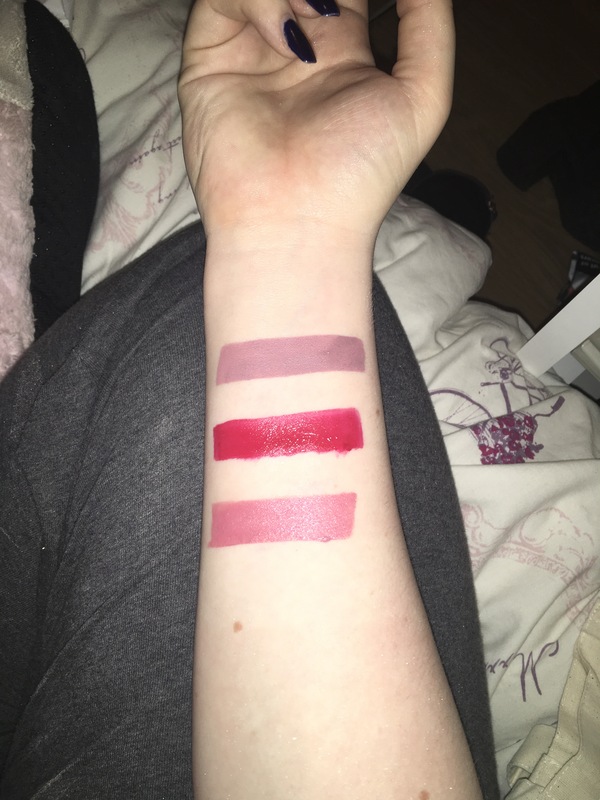 Now…my next swatch is probably my fave and the photo probably doesn’t do it any justice but it’s soooooo beautiful! 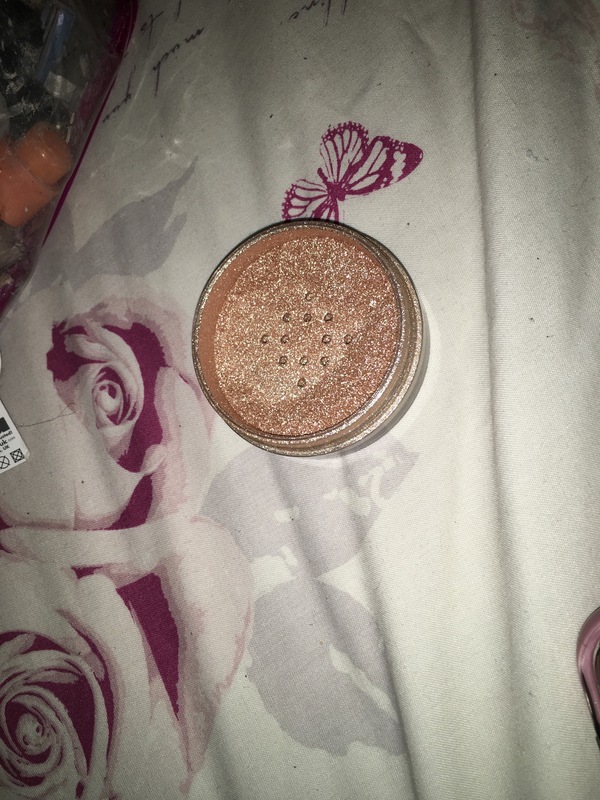 It’s the Inglot sparkling dust highlighter and it literally makes me sooo happy! 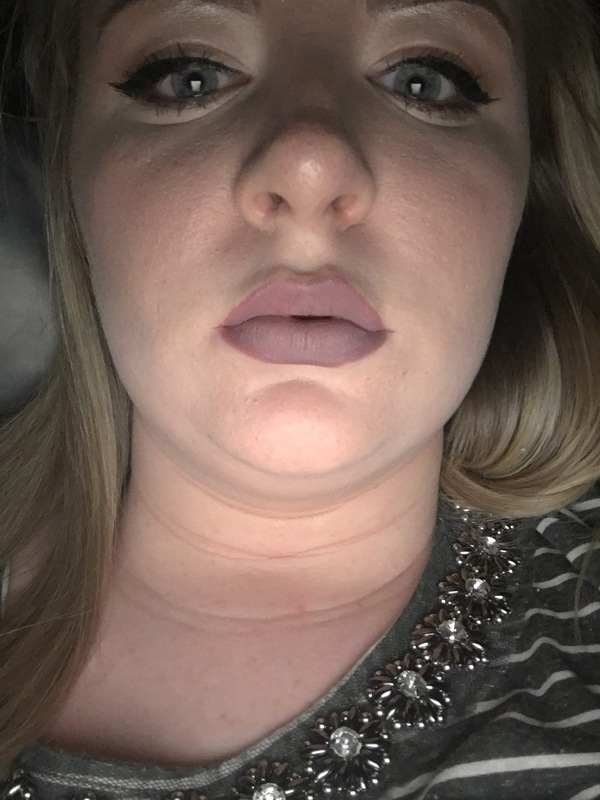 I used it in my last post to highlight my Cupid’s bow and I can’t get over how beautiful it is! 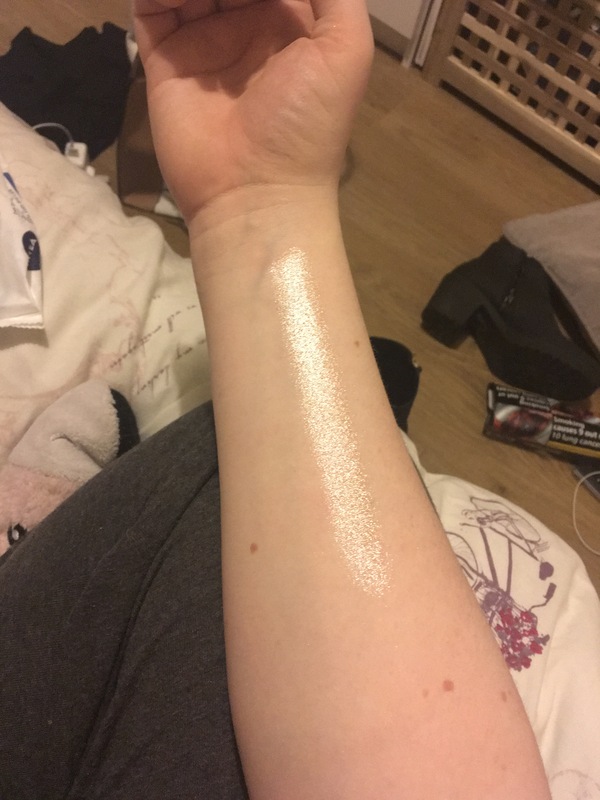 I also cannot wait to use this in the summer, when the light catches it, it give such a beautiful glow!! 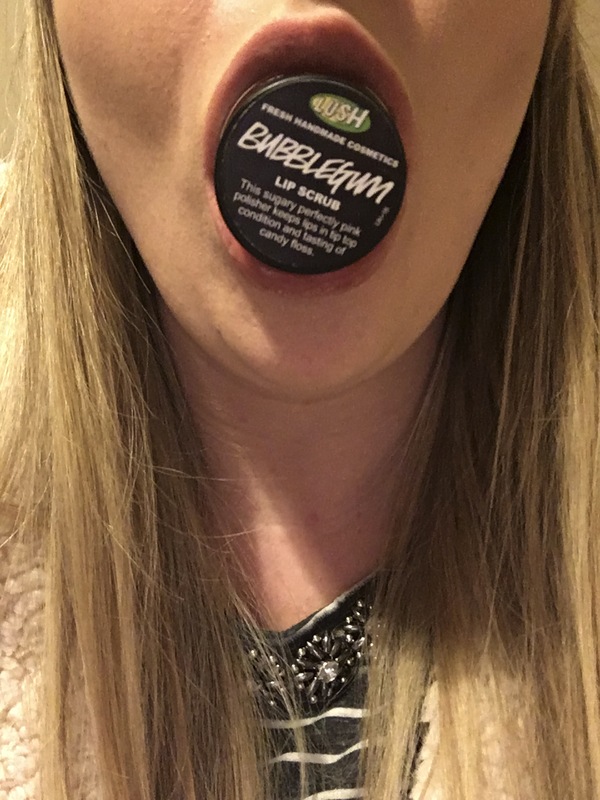 It has to be my fave products ever!!!! 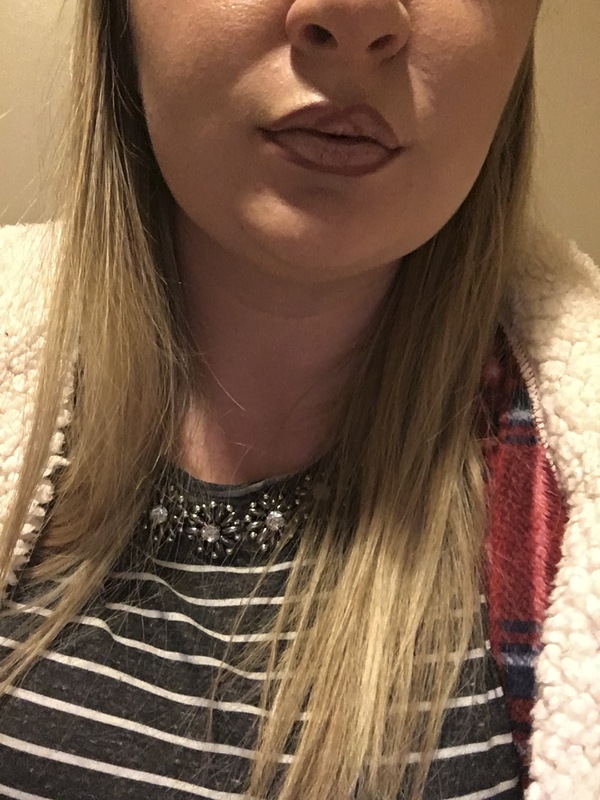 Now I move onto Lip products, I always find my fave and just stick with it, but this winter, I’ve found 3 stunning colours that I love! 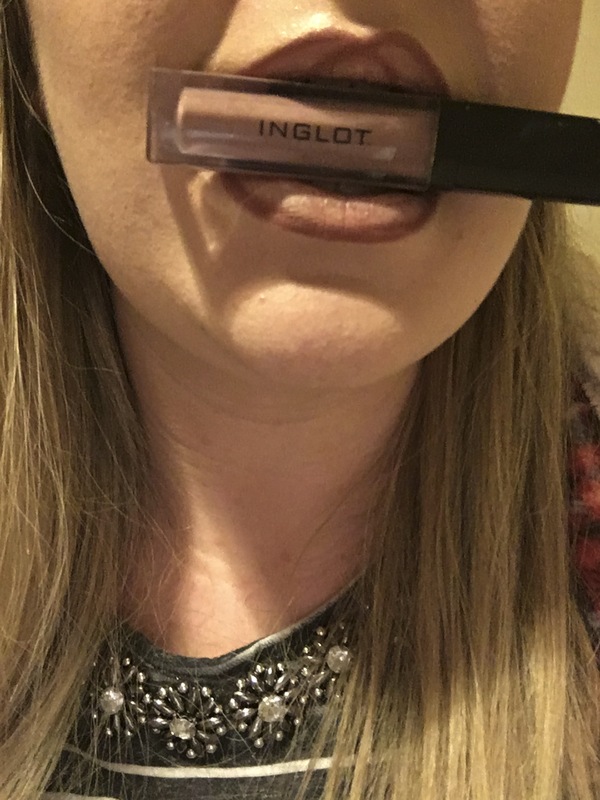 Top colour is again, what I used in yesterday’s post, ‘Inglot liquid lip tint matte’ in shade 32. 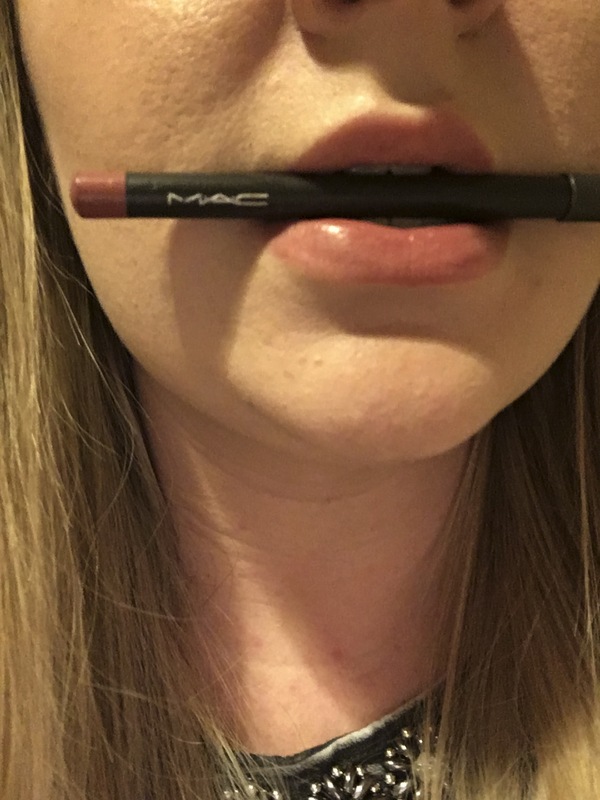 This lipstick is hands down my favourite, once it’s on and dried, it says in place for hours!! I wear this one to work most days because I never have to worry about it rubbing off, I can eat my lunch, have drinks and it just stays in place. 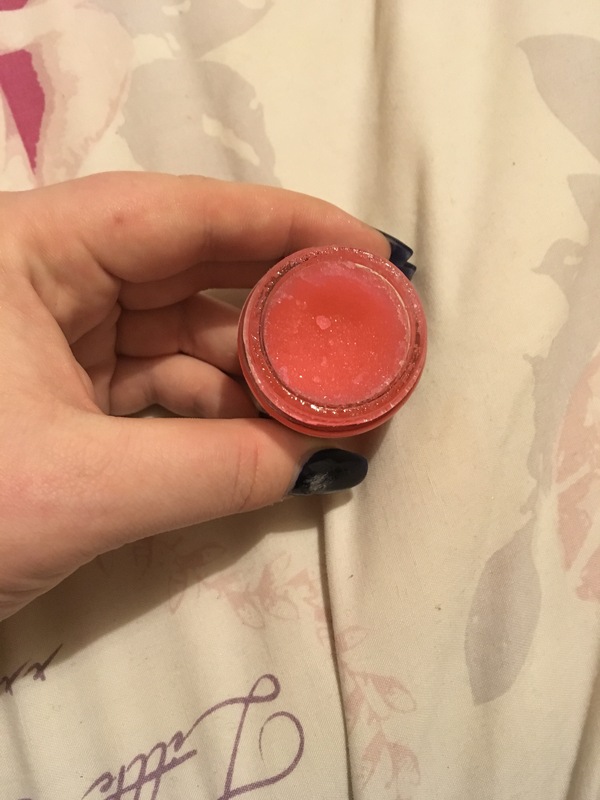 The only one problem I have with it and it’s not even the lipstick itself, sometimes my lips can get very dry in this cold weather, so it can start to look flaky towards the end of the day. So my lovelies! That is what I have for you today, if you enjoyed this please like and to see more posts follow my blog and you’ll be first to see new posts! I will also be getting back into my YouTube videos soon, so I can’t wait to get those going and share those too!